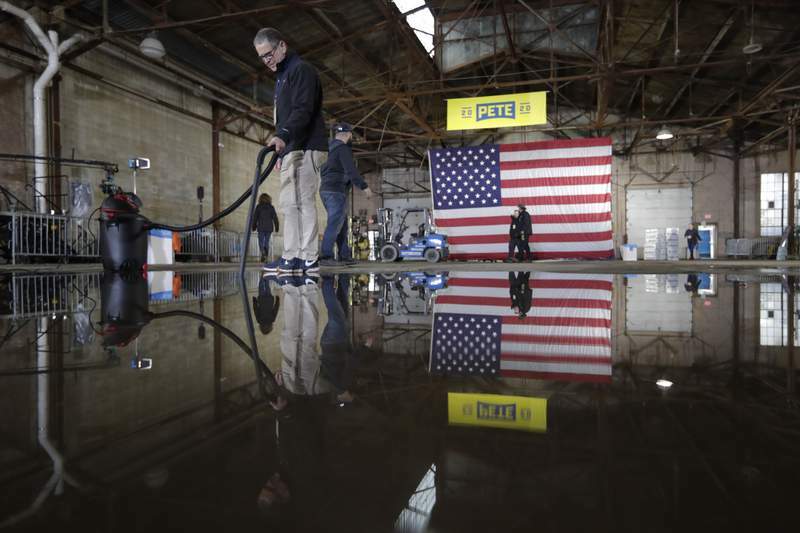 Associated Press: A volunteer vacuums water on the floor in preparation for the announcement by Pete Buttigieg that he will seek the Democratic presidential nomination before a rally in South Bend on Sunday. 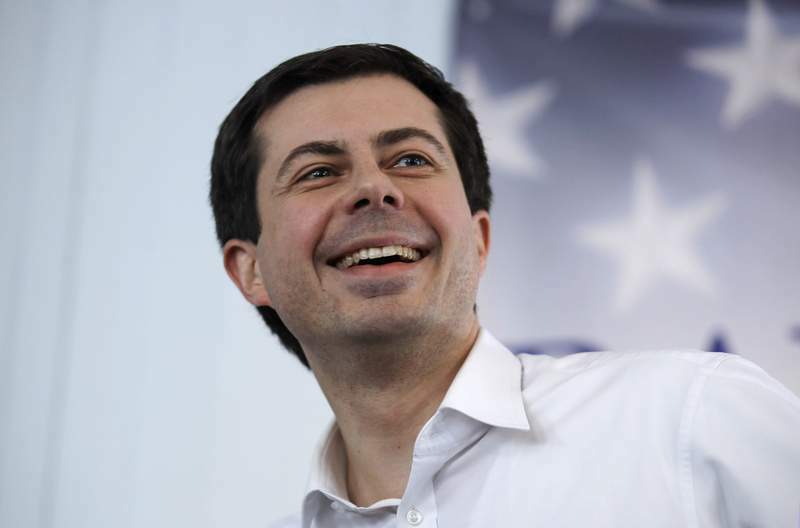 SOUTH BEND -- South Bend Pete Buttigieg announced his candidacy for president during a rally Sunday in the city where he launched his political career less than a decade ago. The 37-year-old Rhodes Scholar and Afghanistan war veteran, who has been exploring a White House run since January, made the formal announcement that he's joining the field of a dozen-plus rivals during a rally in South Bend, the city of about 100,000 where he grew up and is now serving his second term as mayor. He will return this week to Iowa and New Hampshire, which hold the country's first nominating contests, to campaign as a full-fledged candidate now being taken more seriously. During the last few months, Buttigieg has appeared frequently on national TV news and talk shows and developed a strong social media following with his message that the country needs "a new generation of leadership." His challenge is finding a way to sustain the momentum in the long term and avoiding becoming a "flavor-of-the-month" candidate. Scrutiny of his leadership in South Bend has increased, as has his criticism of Vice President Gov. Mike Pence, who was Indiana's governor when Buttigieg was in his first term as mayor. 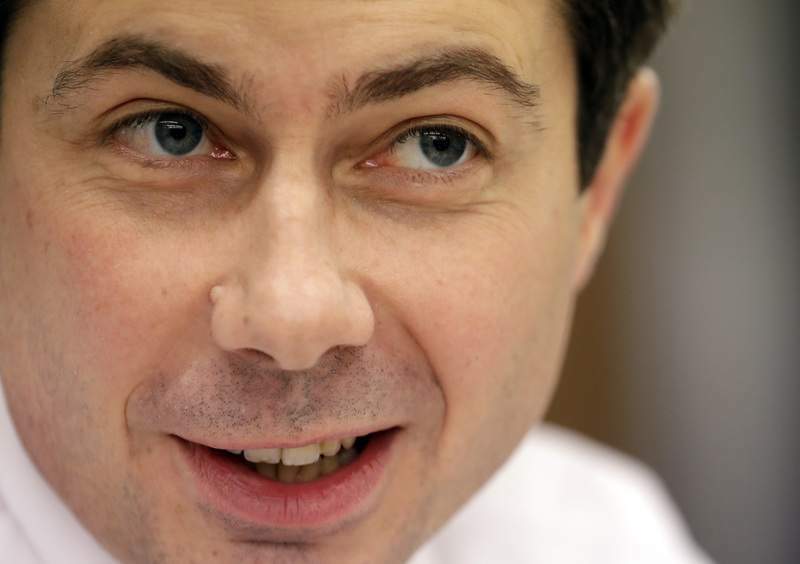 Buttigieg would be the first openly gay nominee of a major presidential party; he married his husband, Chasten, last year. He would be the first mayor to go directly to the White House. And he would be the youngest person to become president, turning 39 the day before the next inauguration, on Jan. 20, 2021. Theodore Roosevelt was 42 when he took office, while John F. Kennedy was 43 and Bill Clinton 46.